So the question. Swirls or no swirls? Let’s go with swirls this time round because it’s a great week and we need to have a swirling good time. So here we go. 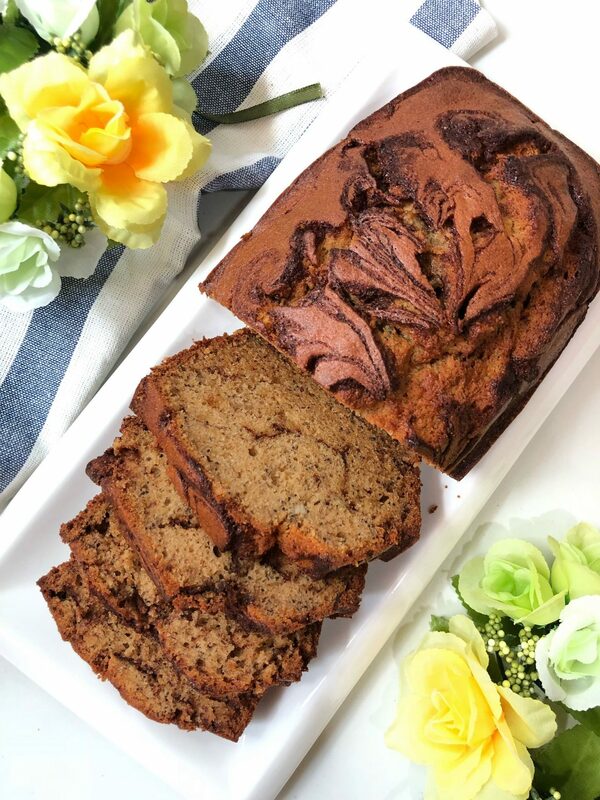 Time to bake some delicious mouthwatering Cinnamon Swirl Banana Bread. How many of you love desserts that incorporate cinnamon? I’m a big fan of those desserts that hit you strongly with cinnamon. Even before consuming it, you can smell it and when you taste it, it’s when all hell breaks loose. Forget your diet, and let pleasure consume you. 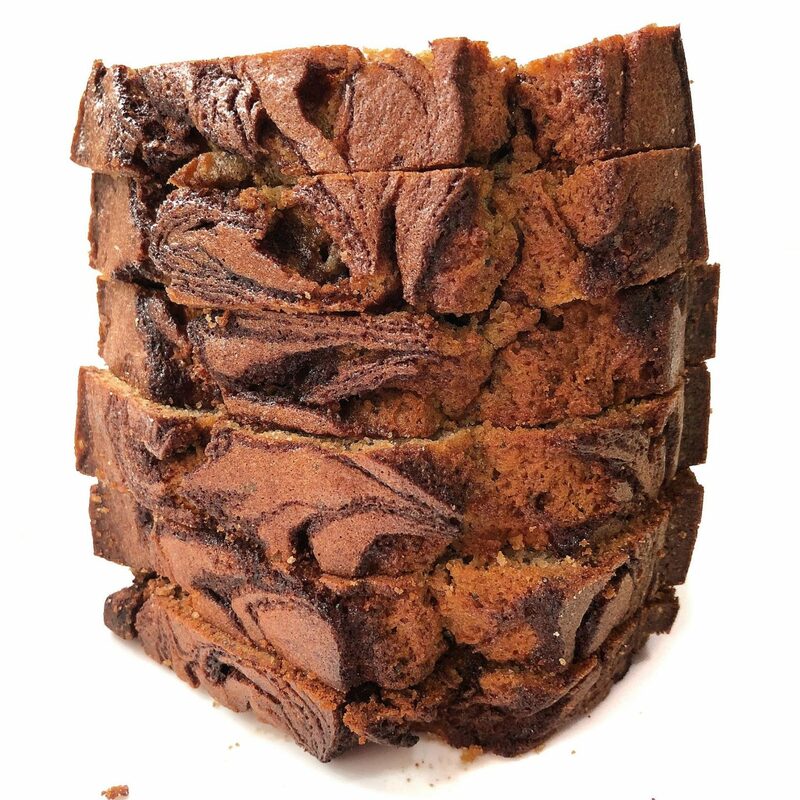 Cinnamon Swirl Banana bread, I am coming for you. Maybe that’s the reason why apple pies have been a favorite in the family all year round. The combination of apples and cinnamon is truly a match made in heaven. Ok let’s get back on track shall we. If not I will go on indefinitely about Dutch apple tart and my travels to Amsterdam. ( Honestly one of the best apple tarts I’ve tried was from this famous shop in Amsterdam- Winkel 43 Café. I’m pretty sure most of you have visited that place. I made a similar version just incase you’re interested) Moving on to bananas now- which is the whole reason for this post. 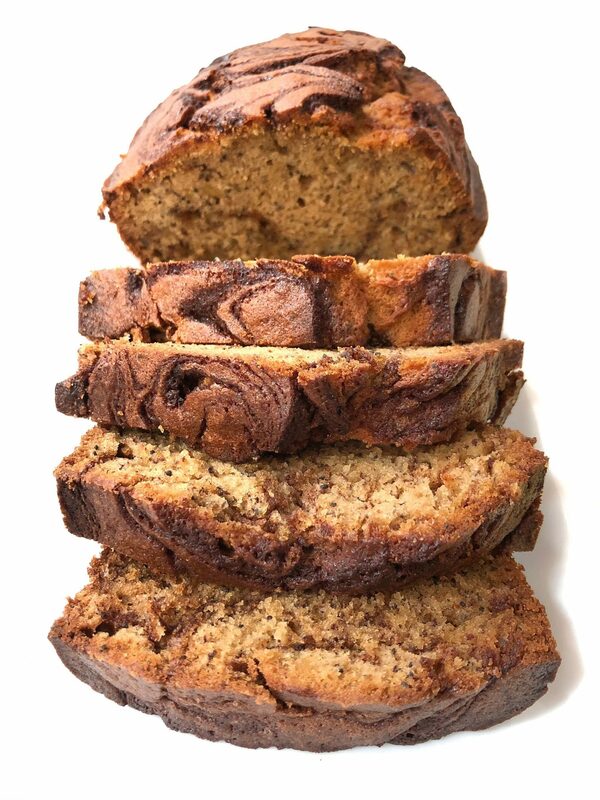 It goes without saying that ripen bananas make the best banana bread. I do agree since they are sweeter and you can cut back on the amount of sugar added to the batter. For this cake, I used my favourite banana bread recipe and added a brown sugar cinnamon swirl to the batter. Nothing changed much, just the swirls and the incorporation of more of that delicious cinnamon smell into the entire cake. Holy moly right. Cinnamon Lovers, please humour me by giving me a pat on my back. I incorporated the Cinnamon mixture in 3 additions. 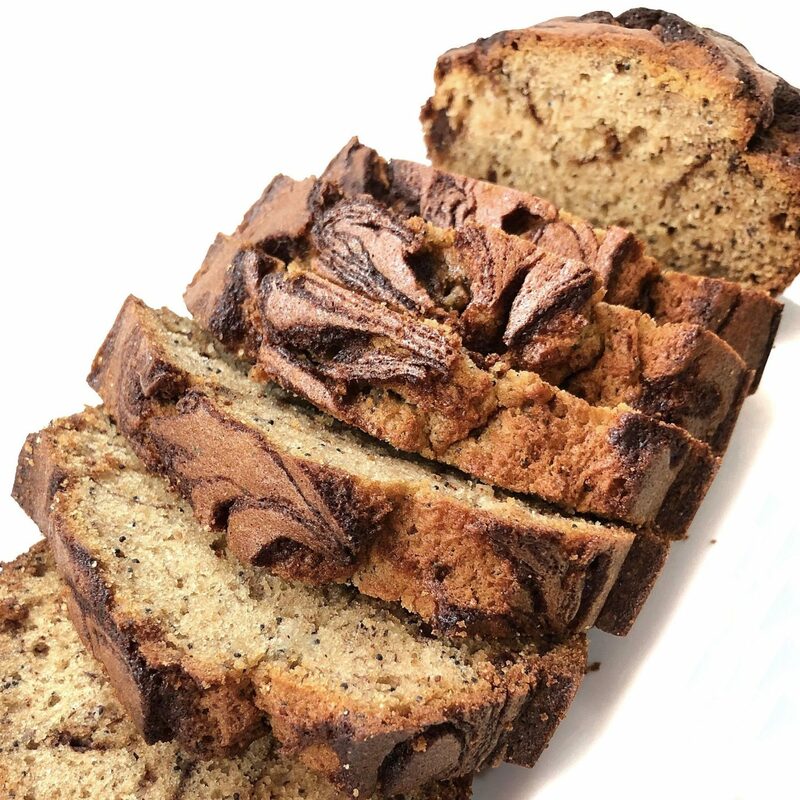 Every bite of that banana bread needs to have that cinnamon oomph right. C’mon. If I’m eating a cinnamon bread, there has to have that cinnamon component right? If not, go grab a banana muffin instead. Love the texture on this. However I wished I had made the swirls more defined in the batter. Nevermind next time! 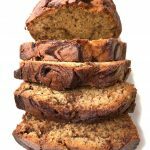 This Cinnamon Swirl Banana Bread will definitely make a comeback. Scroll further below for the recipe. If you happen to make this, don’t forget to tag me @sherbakes on Instagram. 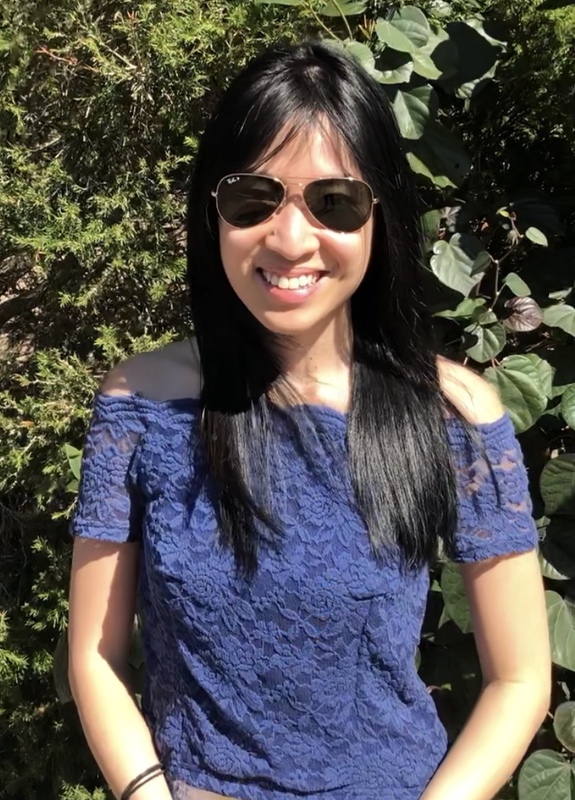 Would love to see how beautiful your bakes turn out. In a bowl, add the eggs, sugar, and beat on medium-high speed with hand mixer until smooth, well-combined, and mixture is golden yellow in color, about 4 to 5 minutes. Slowly drizzle in the oil. Don’t dump it all in at once. Beat at medium speed until incorporated, about 1 to 2 minutes. Add the bananas, greek yogurt, vanilla, and beat on medium-high speed until combined, about 1 to 2 minutes. Add the flour, baking soda, salt, cinnamon, poppy seeds and beat on low speed until just combined, about 1 minute. Bake for 50-1hr or uhntil a toothpick inserted comes out clean. Lemon Tart – Happy Birthday Shroomy! Oh my goodness! I can almost smell this gorgeous cake here!! So yum!! Thanks so much Natasha 🙂 You just made my day!